It is one of the hardest decisions you will ever have to make: how to care for the person who cared for you when you were a child. Unfortunately, for many Americans the best option is to put their parent in a nursing home or adult care facility. We hope that our loved ones will receive proper care from people with the nursing skills necessary to give them the best quality of life in their final years. However, whether they are cutting corners or simply negligent, many nursing homes do not offer the level of care they promise. At The Rubinstein Law Group, we want to hear your nursing home abuse or nursing home neglect story because if your loved one has suffered it is more likely that others have as well. 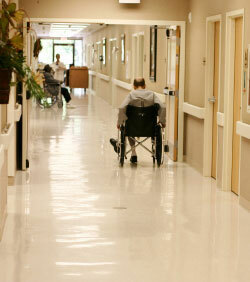 Your nursing home abuse or negligence claim can put a stop to dangerous and improper practices. Please contact the Rubinstein Law Group today to schedule a free consultation with our nursing home abuse lawyer San Marcos. If you see any of these signs or anything else that makes you feel uncomfortable about your loved one’s care, first talk to the nursing home staff and if you do not get adequate answers, it may be time to move your loved one and consider pursuing a lawsuit with the help of a nursing home attorney in Escondido. While you are looking for the best care for your loved one, many people see your loved one as their ticket to profit, either from you or from Medicare. In the last decade, many nursing homes were acquired by investment groups looking to make a profit. These companies maximize profit by reducing staff, including the removal of dieticians and registered nurses to be replaced by less expensive and less qualified help, and increasing the number of residents in their facilities. In caring for more people with less staff, the nursing home may reduce quality of care and rely on the use of physical and chemical restraints including inappropriate medications. In addition, drug manufacturers have entered into profit-sharing deals (sometimes described as illegal kickback schemes) with doctors and pharmacists at nursing homes. These companies profit by promoting a drug not because it is the best for your loved one, but because it is profitable. Nursing home work can be hard, especially when the facility is under-staffed. With cutbacks, nursing home administrators are often eager to employ and maintain staff, without performing the necessary background check. Employees who are underpaid and volunteer for unpopular overnight shifts may escape scrutiny despite signs of patient abuse. Criminal charges may get the abuser out of the home, but civil lawsuits will force nursing homes to exercise greater care in hiring. An experienced Oceanside personal injury attorney will make sure that the nursing home is held responsible for their negligent actions. If you know your loved one is being neglected or abused and are unsure of how to respond, our nursing home abuse lawyers in San Marcos can help. We have represented the elderly and their relatives in dealing with the consequences of nursing home abuse or neglect. We have also represented clients who have been mistreated or harmed in mental health facilities, drug treatment facilities, and facilities for the developmentally disabled. 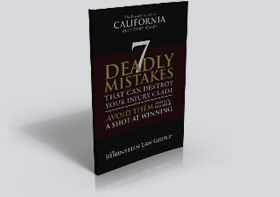 Please call or email The Rubinstein Law Group today for a free consultation. Our San Marcos personal injury attorney represents our neighbors in San Diego county and surrounding areas of San Marcos, Carlsbad, Escondido, Oceanside, and Vista, and if you need us anywhere in California, we can come to you.